Today Pip helped us to make a bed for the pregnant ewes in one of the indoor pens. 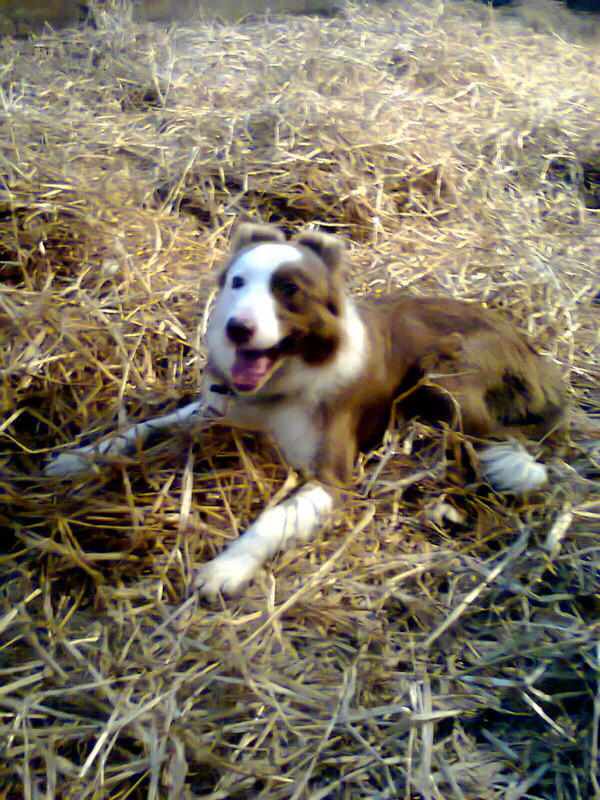 We rolled a round bale of straw around while Pip jumped onto now and again for a stroke. She was happy to see the job done. She does seem to be such a happy girl!